Here’s what you may have missed last week. Field Hockey took down Franklin & Marshall 2-1 in OT last week. Hannah Palm evened the score with less than a minute left in regulation. Megan Wetzel scored 29 seconds into overtime. The Falcons also beat rival Stevenson University Saturday. Kezia Loht scored two goals and Kristen Levesque scored her first college career goal as the Falcons won 3-2. The team is now 9-0 on the season. Women’s Soccer was on a roll Saturday dominating Hood College. First-year Jessie Fisher led the team with a hat trick as the Falcons won 9-0. 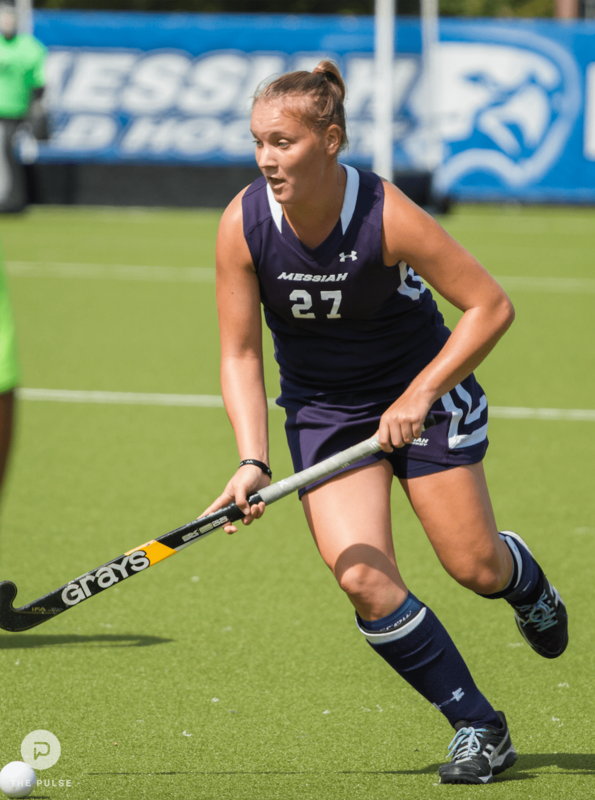 The team outshot Hood 29-0 in their first MAC Commonwealth matchup of the season. Men’s Tennis lost 7-2 to York College over the weekend. Keller Martin won his singles match in three sets (6-4, 5-7, 10-7). Jarod Snader won his singles match decisively against Tyler Richard (6-3, 6-0). Women’s Tennis fell to York 8-1. Kaitlyn Russell and Amanda Adams won their doubles match 8-5. 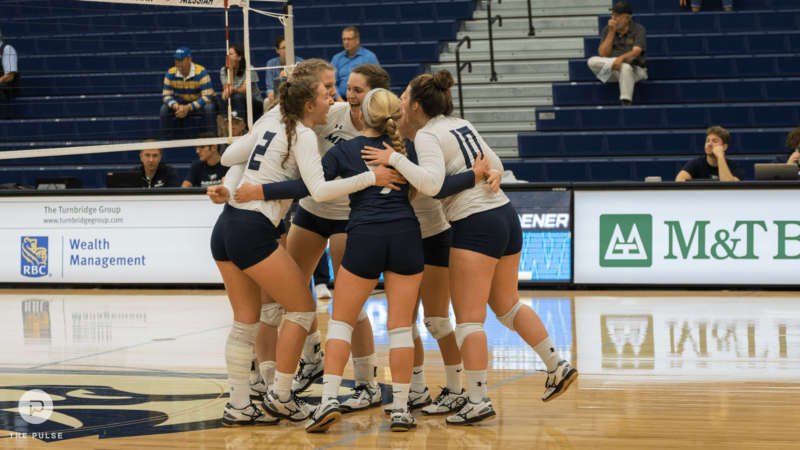 Women’s Volleyball beat Widener Tuesday night in three straight sets. The sets were close, but the Falcons prevailed winning 26-24, 30-28, and 25-23. The team earned 51 kills in the win. On Friday the women fell to Stockton 3-0. Stockton won the sets 25-21, 25-16, and 25-19. Amanda Dahlman had 17 digs in the loss. The next day the Falcons lost to Bethany College 3-1 (24-26, 26-24, 25-13, 25-23), and to Franklin & Marshall 3-1 (25-11, 22-25, 25-9, 25-15). The team is now 9-10. Men’s Soccer won their match against Hood College. Nick West scored a brace, and Brit Haseltine, Christian Valen, Justin Brautigam, and Lucas Kokolios added goals as the Falcons won 6-1. Men’s Soccer @ Johns Hopkins University 7:00 p.m.
Women’s Soccer @ Stevenson University 7:00 p.m.
Field Hockey @ Gettysburg College 4:00 p.m.
Women’s Volleyball vs. Lycoming College 7:00 p.m.
Women’s Volleyball vs St. Mary’s College of Maryland 11:00 a.m.
Women’s Cross Country- DeSales Invitational 12:00 p.m.
Men’s Cross Country- DeSales Invitational 12:00 p.m.
Women’s Volleyball @ Christopher Newport University 1:00 p.m.
Field Hockey vs Albright College 1:00 p.m.
Women’s Soccer vs Albright College 5:00 p.m.
Men’s Soccer vs Albright College 7:30 p.m.